Do I Need a Lawyer If I Had an Accident in a Work Vehicle? Car accidents, no matter who is at fault, are traumatic in their own right. But what happens if you were in a collision while driving a company vehicle? 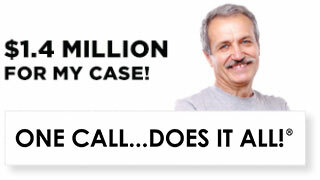 Are you on the hook for paying the damages, and is it really necessary to hire an attorney? Whether it was a minor parking lot scrape or a major crash resulting in serious injuries, it’s imperative to have competent legal counsel on your side. There are dozens of trustworthy law firms in Southern California, so why choose a personal injury attorney at Ellis Law to handle your claim? Our talented legal team has decades of experience litigating complex accident cases in California, and will pursue the best strategies for achieving the most favorable outcome. The average person will file a car accident claim once every 17.9 years, according to auto insurance industry estimates. If you were driving an employer’s vehicle during the accident, the circumstances of your particular situation will determine who is responsible for paying damages. Were you performing work duties at the time of the accident? If you were driving a company vehicle and acting within the scope of your normal employment duties when the accident occurred, any ensuing injuries should be covered by California’s worker’s compensation benefits. However, this would not apply if you were driving the vehicle for personal reasons that were not authorized by your employer or related to your job. What if you were not “on the clock” when the accident occurred, but were picking up some office equipment for your employer? In this situation, you should be covered since you were performing a task as a courtesy for your employer. While you may not have been clocked in, if you were doing a favor for the convenience of your boss that is incidental to employment, you would still be entitled to worker’s compensation. This type of coverage is designed to cover medical bills, out-of-pocket expenses and a percentage of lost income incurred by employees who are hurt on the job. Worker’s comp extends to injuries suffered in a vehicle accident while performing job-related duties. 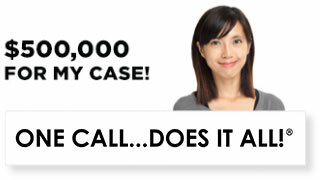 Did your negligent conduct cause the accident? If the accident was partially or wholly caused by your own negligent conduct, you would likely not be eligible for worker’s compensation. Examples include driving the wrong way on a one-way road, reckless speeding, driving while under the influence of alcohol or drugs, or engaging in a criminal activity at the time of the crash. However, you may still be eligible to file a claim with your employer’s commercial vehicle insurance. This will depend largely on the terms of the coverage and what types of exceptions are included. The employer may also have a general liability policy that covers injury damages to employees and customers in various types of situations. If you were hurt while driving the company car and your employer’s insurance company is either refusing to pay for your medical costs or only providing limited coverage, your personal injury lawyer will ensure you get the maximum compensation allowable by law. 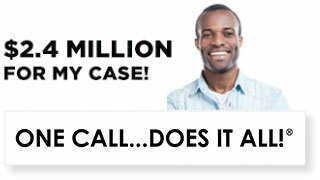 Insurance carriers can be sued when they have unreasonably denied a claim for damages. The bottom line is that your employer may be liable for damages if your accident occurred while you were driving for work purposes – even if you were partly to blame for the crash. Car accidents happen to even the most careful of drivers. 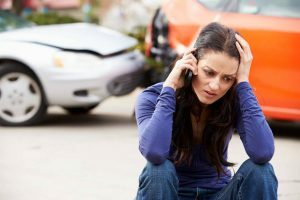 You deserve legal protections from one of our veteran Los Angeles car accident attorneys who has your best interests at heart. Given the complexity and countless variables at play in a work vehicle accident, it’s critical to select your legal advocate wisely. You need a law firm that has a proven record of winning car accident claims in the Los Angeles area; a team that is committed to client success and delivering personalized, compassionate representation from your first consultation to the very end. A good attorney will explain complicated legal jargon in a straightforward manner and advise you on the soundest strategies for obtaining the compensation you deserve. You want to align yourself with a reputable litigator – a lawyer who is fully prepared to take a case to trial and convince a jury utilizing expert witnesses and compelling evidence. 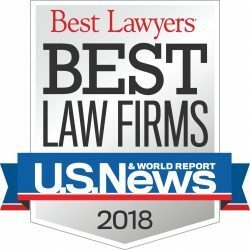 When you need legal guidance of the highest caliber, someone who has the resources and knowledge to champion your rights and prevail in your case, you need one of our award-winning Los Angeles personal injury lawyers at Ellis Law. Our car accident attorneys provide comprehensive case evaluations free of charge and are here to answer your questions with honesty and candor. 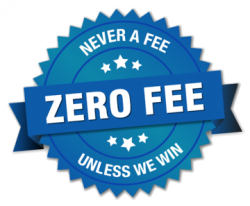 We operate on a contingent-fee basis, so there are no legal fees unless we win money damages on your behalf.